Summertime means my favorite vegetables and fruit can be purchased fresh. Last weekend while on a little road trip in north Georgia we stopped at a produce stand. We bought a dozen ears of corn and have already eaten a couple of them. I just boiled them, but if we could get just one afternoon without rain I would like to grill some. My favorite fruit is peaches. They are perfect when they are really ripe and the juice runs down your arm when you bite into it. I love them sliced over my cereal or even just with milk and a little sugar. My favorite way to enjoy them though is warm peach cobbler with a scoop of vanilla ice cream. I did not take any pictures of the one I made. Again bad blogger. This is what it looked like and the recipe I used from allrecipes.com that I had pinned. So what are your favorite summer pleasures? By the way, I am not enjoying any kind of summer pleasures this weekend and sorry for my absence commenting on your blogs. If you follow me on facebook then you know what I am doing this weekend that I shared a couple days ago. I am NOT a happy camper. Hope your weekend is much better than mine! The basket used for display purposes was purchased for $5 a couple years ago at a flea market. Ah, sweet corn and juicy ripe peaches, does it get any better than that? Hope your weekend is going ok - it's a tough one to be a "happy camper" for sure! love fresh fruits and veggies! I had the best strawberries of my life this summer! Peaches, corn, tomatoes - all good summer things, and all getting ruined by all the rain! We are cooking ribs tonight and have decided to do them indoors because even though there is sun now . . . knowing this weather, there will soon be storms! I love going to produce stands in the summer, corn, peaches, tomatoes....because we have had so much rain here a lot of the farmers have been affected by it. The peaches look good. I will come over and help you paint if you come over and put some drywall up. HA! HA! The sweet corn and peaches look yummy. Nothing better than fresh. Hope the painting goes ok this week end. I bet the end result will be beautiful. Great photos, Kim! Peaches never looked so good. Yummy, I love corn and eat it almost every day when it's in season. I do ours in the microwave in the husk. So easy and has tons of flavor that way. I say forget about the painting and just eat cobbler. Whats going on? Hi Kimmie! I'm sorry you're having to paint! But enjoy those peaches. I'm sure they're good, after all, you live in Georgia! I love corn! Silver Queen corn and fresh peaches! You hit two of my very favorite summer vegetables and fruits. We just returned from north Alabama where we had corn from my uncle's garden, and we brought fresh peaches home with us. Your photos are making me hungry for more of each. 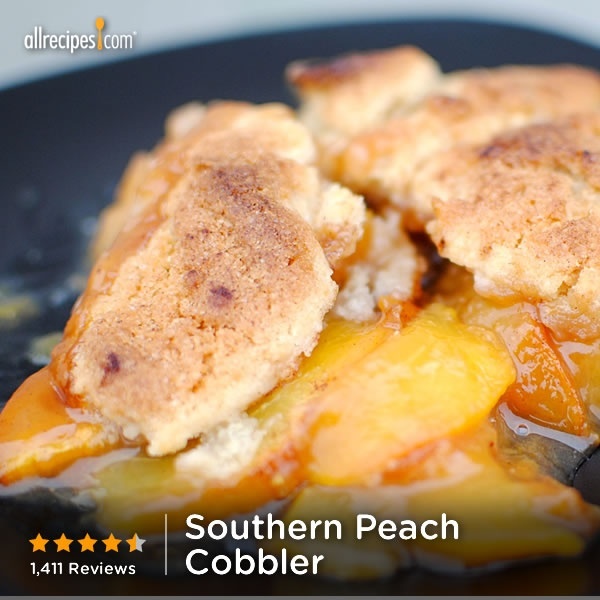 YUM..peach cobbler sounds so good! Kim, you have my sympathies! I know you like to paint but.....we all have our limits, don't we! That photo of the peaches with the water droplets on them is just outstanding! The rain ruined our Silver Queen corn that we had planted. We only got to eat a few ears that weren't damaged by some sort of fungus. Peaches yessss! My most favorite fruit of the summer. I love your blog - beautiful work! Nothing like great seasonal fruit and veggies from the roadside stands...and love your basket!! Hope the painting is going well! Oh you had my mouth watering Kim. I know you are not having fun today:( Your cobbler sounds delish. Love summer peaches too...<3 I feel your pain.I did that myself a few years ago due to budget and it was allot of work.Especially on vaulted ceilings.And when I say myself I mean me myself and I.... no help. I love summer corn. Those peaches look amazing. Kim, you need a better plan for the next time you want to hire a painter. Does you husband go fishing? It doesn't get better than fresh corn and peaches! Yum...the tastes of summer. Hope you are a happy camper again, soon! I enjoy the berries and picking them with my kids, love corn and peaches too. Hope you had a great weekend Kim! Oh how I miss those Ga peaches! I have the hardest time finding good peaches. The best ones we ever had were some we bought at Pike's Peak in Seattle visiting my sister. They were huge and would drip down your arm, like you said. They were expensive, but worth every single penny. Wish I could find some like that around here! Our favorite recipe to use fresh peaches with is blueberry-peach cobbler with vanilla ice cream. YUM! I'll have to share the recipe sometime. Your pictures are gorgeous.